Common Health Provider Fraud Schemes - Oberheiden, P.C. Health care fraud continues to be among many federal law enforcement agencies’ top priorities, and the Drug Enforcement Agency (DEA) is no exception. The DEA investigates and assists in the prosecution of a wide range of health care fraud-related offenses, including primarily those involving prescriptions for controlled substances. Prescription drug fraud, pharmacy fraud and compound pharmacy fraud can all take a wide range of forms. Without much warning, physicians, pharmacists, and other providers can all quickly find themselves at the center of disruptive and costly DEA investigations that have the potential for drastic ramifications. If your business or practice is under investigation by the DEA, it is important to understand why you are being targeted. Once you know the reason for the DEA’s inquiry, then you can begin building a defense strategy focused on avoiding civil or criminal charges. Here is a list of 10 of the most common forms of health care fraud targeted by the DEA. Prescription drug diversion refers to the practice of putting controlled substances prescribed to one person in the hands of someone else. This can be done a number of different ways and at a number of different levels — for example, from patients selling their medications to organizations issuing false prescriptions, altering prescriptions, and forging prescriptions to fictitious Medicare or Medicaid recipients. Moreover, at the pharmacy level, pharmacists or employees may create false prescriptions in order to cover up theft of pills. Also, in physician-owned practices, physicians or staff may conspire with patients to issue prescriptions for medications that are not medically-necessary. The practice of filling a prescription with less than the full number of pills prescribed is known as “drug shorting.” If a pharmacy dispenses 80 pills on a 100-pill prescription and bills Medicare or Medicaid for all 100 pills, this is a form of health care fraud. Another related fraud scheme involves billing the federal government for refills when in fact a patient has never actually come in for a prescribed refill. The opposite of drug shorting is billing Medicare or Medicaid (or an insurance company) for prescription medications that are not medically-necessary. Instead of issuing a prescription only for the medication that a patient needs, a provider may prescribe additional medication (either extra pills or additional drugs) in order to send a larger bill to the government or an insurance company. Many physicians and organizations engaging in health care fraud have faced prosecution for selling false, fraudulent, and illegal prescriptions. For example, a physician may agree to “sell” a prescription for pain medication or another controlled substance to a patient in exchange for a fee, even though a physical examination did not support the need for medication (assuming an examination was performed at all). In other instances, physicians or fraud artists may simply generate and sell false prescriptions using legitimate or counterfeit prescription pads, in either case using the scheme to seek additional compensation from Medicare, Medicaid, or a private insurer. Under U.S. federal law, it is illegal to import any controlled substance – prescribed or not – into the country from a foreign jurisdiction. Physicians, pharmacists, and other providers may seek to illegally import drugs in order to meet the needs of their patients or to sell false prescriptions, and they may misrepresent the imported drugs as legal domestic medications in order to submit claims for reimbursement to the Centers for Medicare and Medicaid Services (CMS) or another federal or state health care benefit provider. In order to prescribe medication to a patient, a physician must first perform an in-person examination. Issuing a prescription without an examination, or with only a cursory exam that does not sufficiently identify the patient’s medical conditions or medication needs, may be charged as a form of health care fraud. In some cases, physicians or other providers may falsify patient records or inaccurately report a patient’s examination or test results in order to prescribe a medication that is not medically necessary. Billing Medicare, Medicaid, other government benefit programs, and private insurers for medically-unnecessary prescription medications is a form of health care fraud that is commonly pursued by the DEA as well as other state and federal law enforcement agencies. The Anti-Kickback Statute and other federal laws prohibit the payment and receipt of bribes, kickbacks, referrals, and other forms of compensation to be paid out of federal benefit program reimbursements. Physicians who accept compensation in exchange for referrals to pharmacies and compound pharmacies and pharmacists who bribe physicians to issue prescriptions or refer patients will frequently find themselves facing DEA investigations. Billing fraud schemes and unintentional billing errors will often lead to DEA investigations as well. Some of the most common issues that can lead to investigations include upcoding (billing at a higher rate than prescribed for the medication dispensed), overbilling (billing for more medication than was actually dispensed), double-billing (billing for the same prescription twice, either to the same federal agency or insurer or to multiple entities), and other methods of seeking remuneration above and beyond that which should properly have been charged. If you have been contacted by an agent from the DEA, it is critical that you take action to protect yourself, your business, your employees, and your family before your situation gets out of hand. Federal investigations can quickly turn into federal prosecutions, and the longer you delay in seeking help, the more likely it can become that you will face civil enforcement or criminal charges. Unless you have previously faced a federal investigation, being investigated by the DEA is unlike anything you have ever been through before. To minimize the consequences, you need to understand your situation, and you need to be prepared to make smart decisions about your defense. Far too often, providers make mistakes that make it more difficult to avoid federal prosecution stemming from a DEA investigation. From talking to DEA agents without representation to withholding information you are required to disclose, actions that may seem appropriate can often have drastic consequences. When seeking to protect yourself against the DEA, you need to put experience on your side. This means choosing a law firm that has specific – and extensive – experience successfully representing providers in complex health care fraud investigations. Learn more in: What You Should Do When You Are Under Investigation by the DEA. Schedule a Free Consultation with the Health Care Fraud Defense Team at Oberheiden, P.C. Oberheiden, P.C. 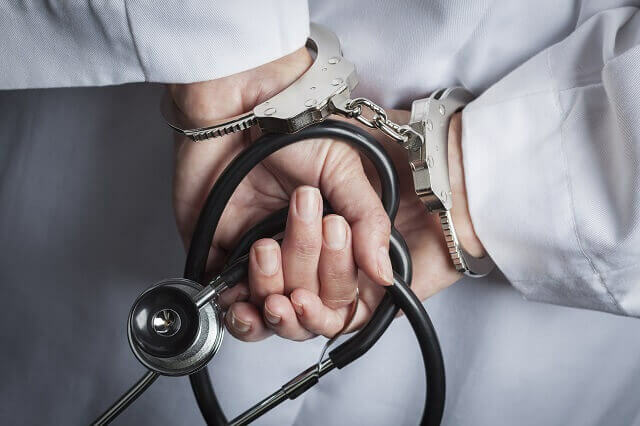 is a health care fraud defense law firm with a multi state federal law presence that brings decades of experience to representing physicians, pharmacists, and other providers in DEA investigations. If you are under investigation by the DEA, our health care fraud defense lawyers and former federal prosecutors can execute a strategy designed to favorably address the investigation as quickly and cost-effectively as possible. To get started with a free consultation, call our offices at (888) 452-2503, or request an appointment online and we will be in touch as soon as possible.